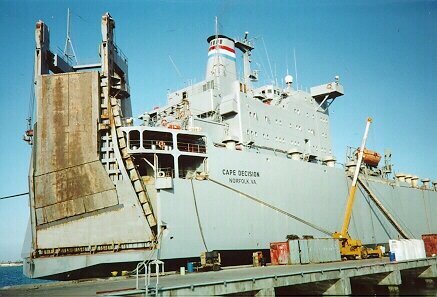 MV Cape Decision (AKR-5054) is one of the Military Sealift Command's (MSC) 31 Roll-on/Roll-off ships and one of the 63 ships of the Sealift Program Office. 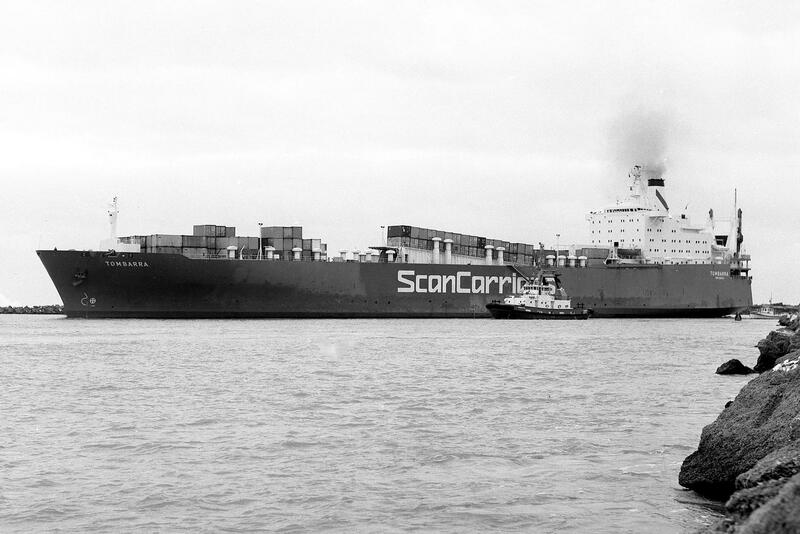 266k MV Tombarra underway in 1979 at Napier, New Zealand. Photo from the Chris Howell collection (negative received from Keith Wood). 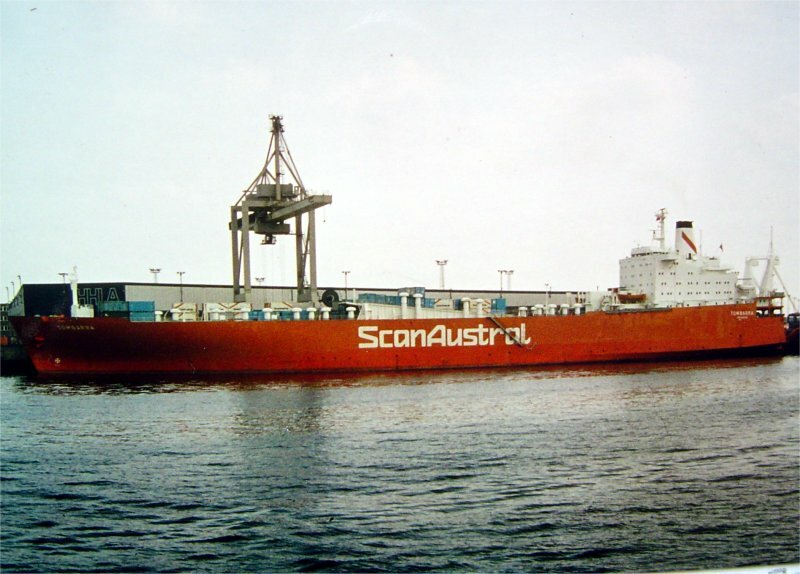 Chris Howell, Southland Ship Stores Limited, Port of Bluff, N.Z. 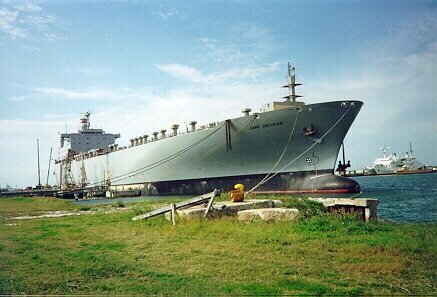 36k MV Cape Decision (AKR-5054) moored pierside, date and location unknown. 39k MV Cape Decision (AKR-5054) moored pierside, date and location unknown. 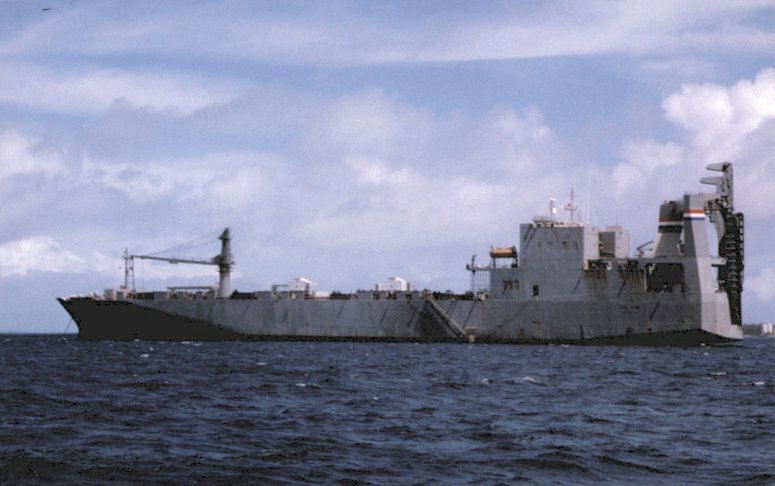 1002k MV Cape Decision (AKR-5054) at anchor with a small tanker alongside, date and location unknown. 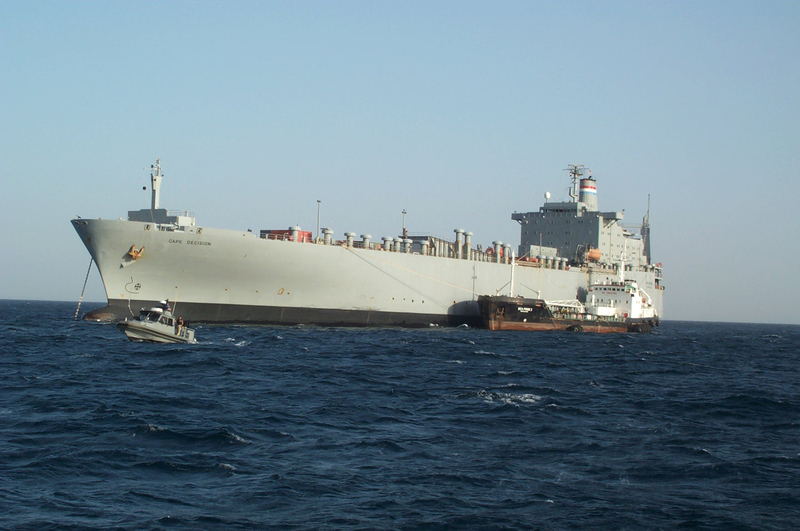 Note the security patrol boat in the foreground.